The 2011 documentary Surviving Progress (inspired by Ronald Wright's book, A Short History of Progress and now streaming on Netflix) looks at the reasons why our advances have led us to this destructive point. One hypothesis is that our brains are still in hunter-gatherer mode, wired for quick decisions. As a result, we fail to think about long-term consequences and and future generations. The other reason for the potential destruction of the earth and humankind as we know it: change, and as we can see, not all change is good. Change brought Rome to its knees, decimated the Amazon rainforest, and might soon lead to our demise. 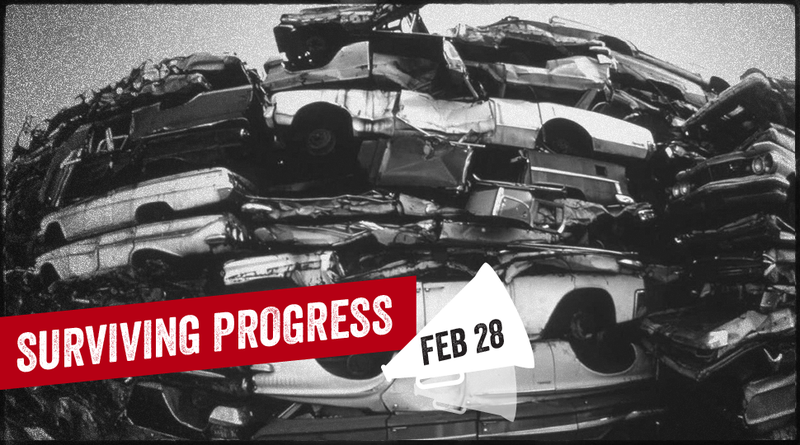 On Friday, we'll discuss Surviving Progress, and whether or not humanity can undo the damage it has done. Watch the documentary on Netflix now.